I started by writing what I thought would be a simple article about things that can make it harder for us (people with autism or autistics if you will) to succeed at work. Over the course of writing (and writing and writing), I realized that the post would have to be written in parts. 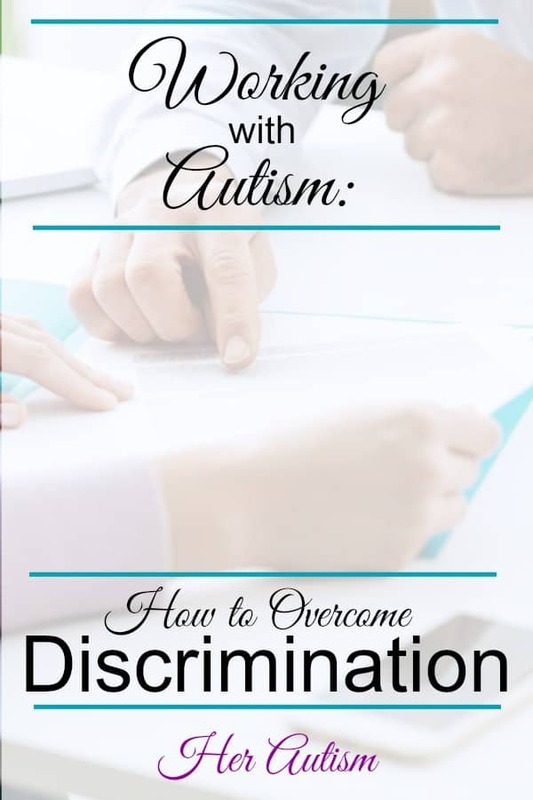 This first part focuses on the impact of discrimination against autists. I tend to be a pretty hard hitting individual and work hard on my posts to soften them up a bit as my writing is generally more blunt than what I really feel, but here, I am just going to lay it out the way I see it. I think the seriousness of needing to be able to earn a living more than justifies my hard hitting approach here. Is There Really Discrimination Against Autism in the Workplace? In reporting the discrimination faced by autists, many of these articles even continue to discuss autists as working in lower level jobs, needing help and unable to function on their own. A little ironic, wouldn’t you say? As a young woman trying to break into professional employment, I believed I knew the feel and stench of discrimination. Sure, others had it worse, but the “good old boys club” stopped me in my tracks, or at least delayed me while I sought a workaround, more than once. It wasn’t until these many years later after I knew of my autism diagnosis that I became aware just how much worse it could get. Truth be told, as I am older and wiser, I do know that there are others in much more discriminatory circumstances than I, but whoosh, what I have experienced is beyond anything I could have imagined. I don’t feel angry or bitter about it, but I do feel like the best chance for success is to be a realist, acknowledge it, and employ targeted strategies for overcoming it! So Where Is This Discrimination Against Autism Coming From? I have no idea how the media, support organizations, psychiatrists, psychologists, educators, etc., — “the experts” — think their articles, talking about us rather than to us, ranting about how we will be unable to obtain and keep employment because of our many “deficiencies,” and stating and restating devastating statistics around employment (that I don’t for one minute think are accurate) help us. I can say without hesitation that they don’t. Talking about how we need support while convincing employers we are nothing more than that part of the workforce destined to struggle in “mundane and repetitive” employment doomed without their assistance all the while throwing out virtually no real solutions helps no one. Even those who like or even love repetitive jobs are poorly represented here as they clearly don’t consider them to be “mundane” and may still like opportunities to try different things. What’s worse, if you were diagnosed at a young age, you may have grown up with lots of “help.” Some of this help may actually have been helpful which is great and learning which real help you needed, how to request it and use it probably moved you forward. Awesome! But if you were “helped” more than you needed or taught to depend on always having help to be successful, this may have set you up for future struggles, i.e. struggles at work, which is unfortunate. As an example, many a kiddo with autism/mental health issues is moved into easier academic courses as a means of “accommodation.” Some of these students are more than capable of keeping up with the rigors of their course load without being “demoted.” A right strategy to be sure, if it is needed, but I have seen kids with a history of academic success (my own included) receive this recommendation after disclosing a diagnosis. This strategy teaches students they are not good enough, it teaches them to settle, it teaches, well, it teaches them to quit. If only that was the worst outcome of this strategy. The worst implication is that students who are so placed are at a disadvantage in the job market when competing with students who were allowed to work to their potential, and this damage may last a lifetime. As I said, my own kiddo faced this recommendation and in a room with about eight school officials and staff members. It is hard to stand your ground in this situation. I hope you have never faced this, but if you have, or you are currently, I feel your pain! So many people say, “It is not what you know, but who you know.” I generally agree with that unless the “who you know” knows more than needed. When our families post negative information about us as individuals, we shift to a place where our private struggles are going up against the wins and accomplishments of others. Disadvantage us. ABSOLUTELY struggling family member deserve support and encouragement when struggling, but there may be a better, healthier way to go about getting it – a way that is not counterproductive to our goal of independence! I know many of you who read this blog are moms with kiddos with autism. Please hear my words in a manner meant to love and help both you and your munchkins. If you are one of these moms, use the test below to see if you think it is a good idea to continue. As a mom with kids with a whole string of diagnosis (I listed many of my kids diagnosis in my post, “Comorbidity: Life with Autism and Its Closest ‘Friends” if you want to see it), I feel your pain, I want you to have the support you need to have an amazing life, but I just want you to know that making people with autism look incapable is not the way to go about that. This is probably a post for another day, but if we were to put YOUR name in all your posts would want that information published/would it benefit you? I, for one, can’t imagine blasting my kiddos or them blasting me on social media. It would break my heart! I have seen many a mom of kids with autism shout about their right to vent and rant, one (I won’t site it here, but I am sure you can find it with a little digging) actually thinks her kiddos would be proud of her for doing so…????? I can tell you I would not be proud of my mom if she did that to me (Hi, Mom! Mom reads all my posts! I quiz her to make sure! ), and I am pretty sure that “proud” is not how my kids would feel if I did that to them. We even discuss anything I disclose on this blog in advance. But I digress! Sorry!! I was having a few feelings! How Can This Discrimination Against Autism Be Overcome? So if you have felt like you are fighting an uphill battle against those who are supposed to be “helping” you, or like the odds are stacked against you, I might have to agree. That said, I don’t believe you have to roll over and play dead or give up in any way. I know, right? Such a simple solution, and if only it were that simple. The reality is, however, it is a must. If you are not competent and on your game, all of the rest of what I am about to say won’t matter. There is no substitute for being great at what you do. I love to work hard, be focused, demonstrate compassion toward my coworkers and exhibit extreme competence. This solution, is of course, easier to implement once a hiring decision has been made and you are already working. Once you are in the job market, it is easier to maintain your position. I try in my search for helpful information to I refrain from clicking on links with pictures and graphics I feel are detrimental to autistics. The information in these publications may be awesome, even encouraging, but what people (employers!) walk away with is an affirmation of the distorted picture of autism that has been shared, especially if they never click the link. There is a way to help autistics that not only doesn’t do them damage, but serves to encourage and support them. Prior to supporting organizations purporting to “help” people with autism, I take a close look at what is going on deep in the organization. If what they are really doing is detrimental to people with autism, I refuse to support them. Guess who benefits from our being dependent on them? Uh huh, they do!! It is not in their best interest for you to be able to out in the world and succeed for what will their purpose be then?? I do want to acknowledge there are some really good organizations out there, just choose wisely! A key criteria for me is that relevant organizations are talking to me if I am the one they want to help rather that talking about me and my need for employment and my need for their help and support. Consider some of the other health issues in the DSM V such as depression and anxiety. There are more articles directed to the people struggling rather than to those around them. We are talking to them, not discussing them like they are not there or are not competent to read and understand the dialogue. Such a difference!! Yeah, I know taking these types of actions won’t help us immediately. Over time, however, I hope things will change, and we will get to compete in an environment more conducive to our success!!! I encourage parents of kids with autism to refrain from ranting about them on social media or about disclosing information that may later be detrimental to their job search. Problems during childhood, the teen years, and even early adulthood may be overcome, but the remembrance in the minds of family and friends, sometimes our most precious networking resource especially in the early days of our first jobs, may be needlessly turned against us. Did I make that point boldly enough??? If this is happening to you, try to talk to family members about it. Maybe, for example, there are still some posts about you from when you were younger and your family can delete them so that they are not available for public viewing. I haven’t had to talk to any members of my family, but have had to discuss with friends that they are hurting me by sharing my autism with others. It stinks, but can be necessary. I took a few minutes to clarify what I mean here. I believe your information about you is private information, but I really wanted to distinguish keeping private information private from keeping it secret. To that end, I wrote a post called, “Your Autism Diagnosis: Privacy Versus Secrecy and Why It Matters,” which I recommend you take a couple minutes to read. I struggle with this point, but I do think you have to take some time to ask yourself whether you want to disclose your autism to your employer. Obviously if you live somewhere that it is a legal requirement, you may have to, but if not, that information is for you. It is your private, personal information, and you don’t have to share it if you feel it would not benefit you or may even harm you. I am totally for you (and myself!!) getting to be open, honest, transparent and unapologetically ourselves, but I am also a realist and the workplace may not be the place for that, at least not until things change a bit! It really is a terrible choice to have to make and I am sorry to have to put it on the table. I’m writing an entire post on this particular point. Once it is done I will come back and link to it. What If You Need Accommodations? 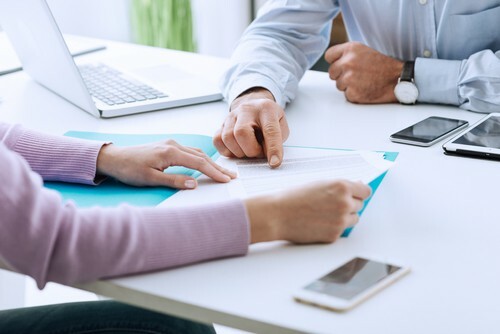 Another factor to consider of course, is that not disclosing this information can be difficult in those instances where having accommodations would make you more successful in your position. The way I get around not disclosing and seeking changes in my workplace is to come up with way to improve the environment for EVERYONE. This takes the focus off any struggle I may be having and makes me a hero to my coworkers! It is great when it works that way, but of course, life is not always that easy. When you need accommodations and there is no way to sugar coat it, you may want to seek assistance (even if it is just an objective soundboard) and carefully consider how you go about requesting them. There is no shame in needing them or in asking for them, just move forward with caution and a well thought position! That old saying, “If you can’t beat them, join them,” does not apply here! Discrimination is something to be aware of and to account for in your employment strategy. You can totally take steps to reduce discrimination in the future and to better your chances for success today! 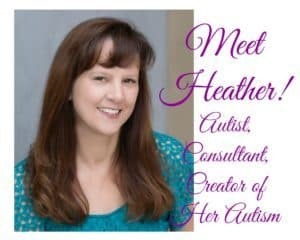 Want to see more of my strategies for succeeding with autism? 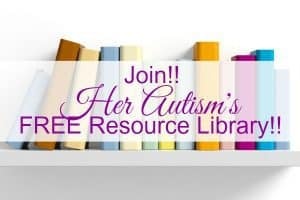 Check out the FREE Resource Library! !